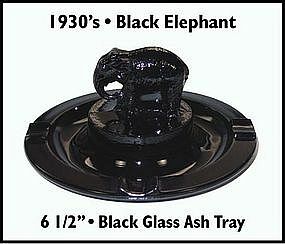 This black glass standing elephant ash tray is in excellent condition! It has 4 cigar/cigarette holders and is over 6" in diameter. 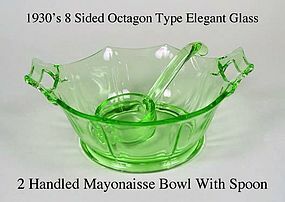 This 6 1/2" apple green 2 handled mayo bowl with spoon is in excellent condition. It was made during the depression years. 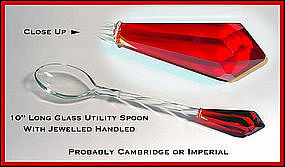 This priced at $25.00 for the bowl and mayo spoon. Unusual 1930's depression era amber glass door knobs and shaft assy in excellent condition. 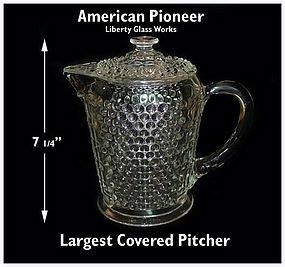 The glass has panels for a better grip. Very elegant! 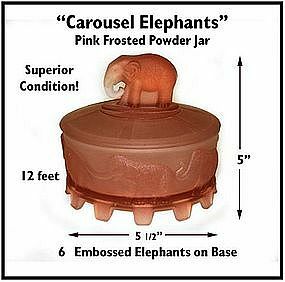 This Pink Elephants 4 oz juice tumbler was made by Hazel Atlas in the 1940's and is in excellent condition! 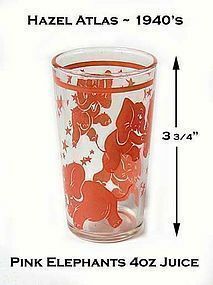 Please see all the pink elephants glassware we have for sale. A 4pc Range Set by Owen Illinois in the crystal clear Ruff and Ready set. The foil labels are factory original. 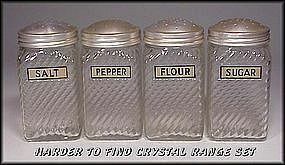 They are all in excellent condition with no damage, no repairs, no funny spots and no residue damage from salt. Original lids as far as I know. Thanks for looking! 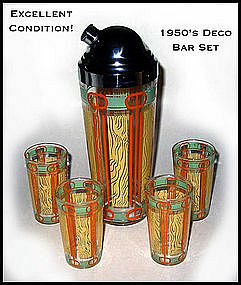 Super 1950's decorated bar set includes cocktail shaker and 4 glasses. All in excellent condition! 1 tiny edge split in otherwise flawless shaker top. Chrome is excellent! 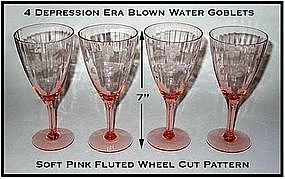 These depression era pink etched water goblets are in excellent condition. 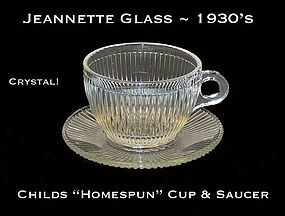 The cutting is a flower, and the goblets are fluted. Beautiful! 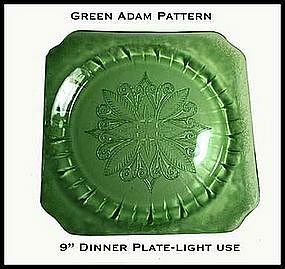 This green Adam dinner plate was made by The Jeannette Glass Co. in the 1930's. No chips, but does have very acceptable light use marks. 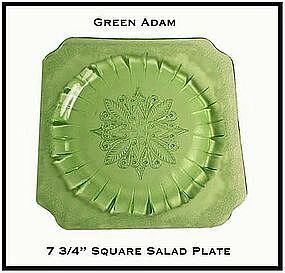 Green Adam 7 3/4" salad plate in excellent condition! 1930's Old Colony Lace Edge 3 pc Frosted Bowl & Candle Set. 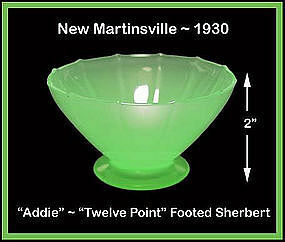 There are a couple of minor flaws between the lace on the bowl and a small sliver of glass that barely shows. The candles have a couple of tiny manufacturing flaws on them but no big deal. This set is priced accordingly for these minor flaws. 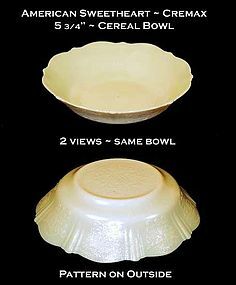 This American Sweetheart cereal bowl was made by MacBeth-Evans in the 1930's. The cremax color is unusual and is really more like a darker caramel color. 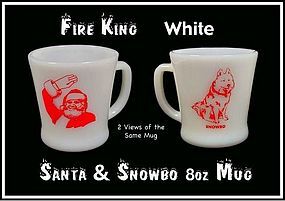 Nice sample for the complete collection. 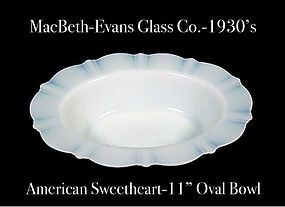 This American Sweetheart Monax 11 inch rimmed bowl was made by MacBeth Evans Glass Co. in the 1930s. It is in excellent condition!